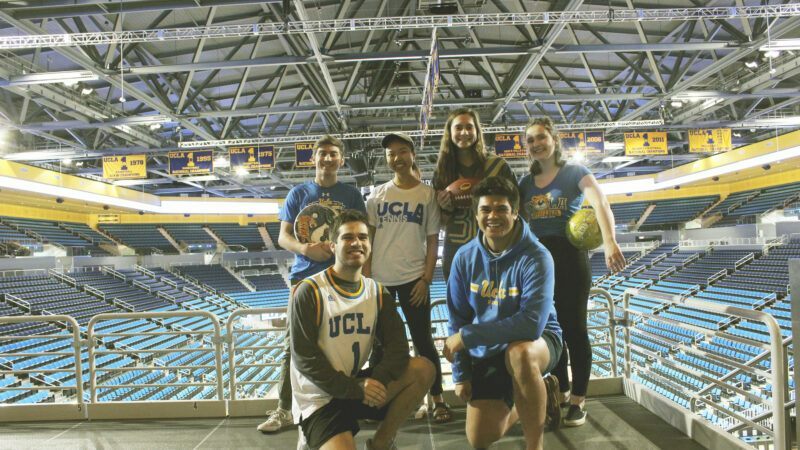 Developing an Attainment Model for LEED Re-certification at Pauley Pavilion. 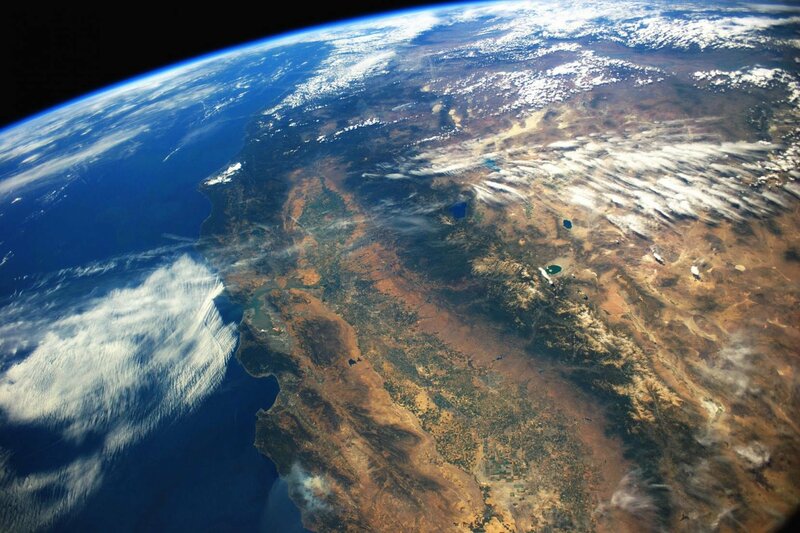 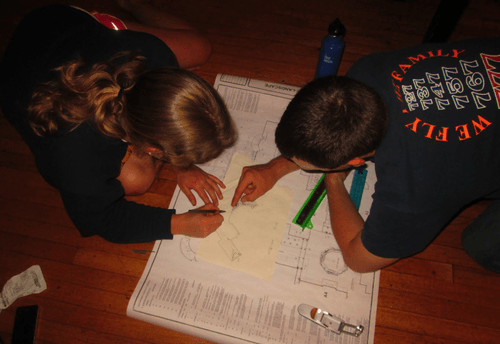 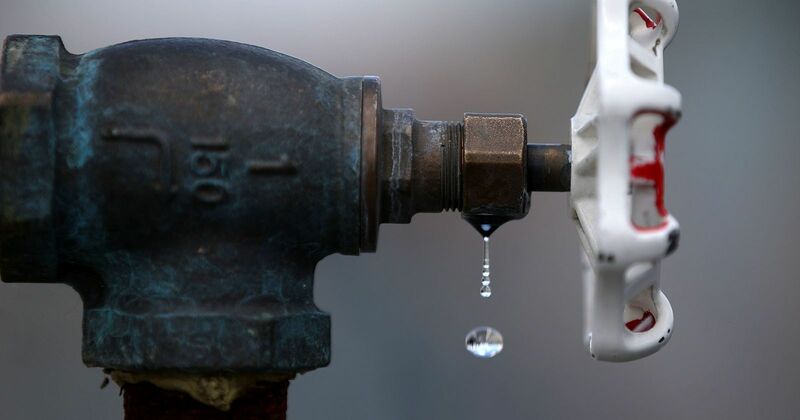 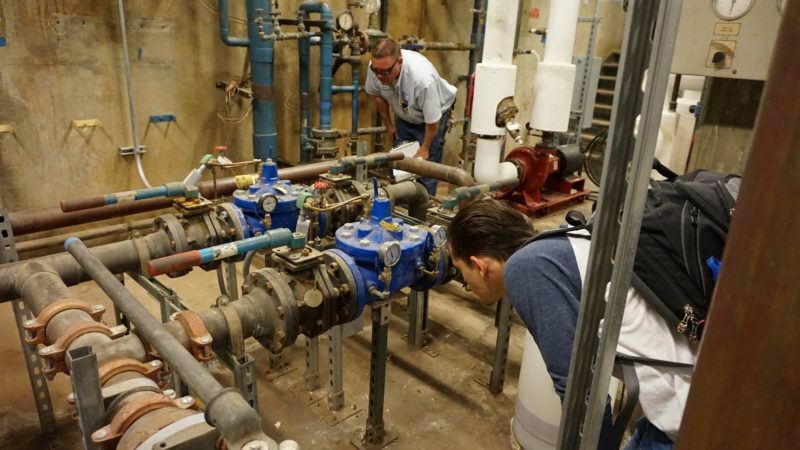 Enhancing Institutional Resilience through Sustainable Water Planning. 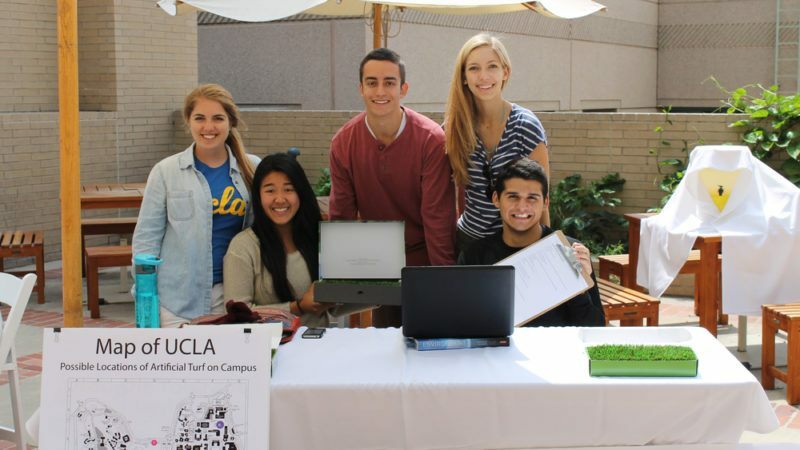 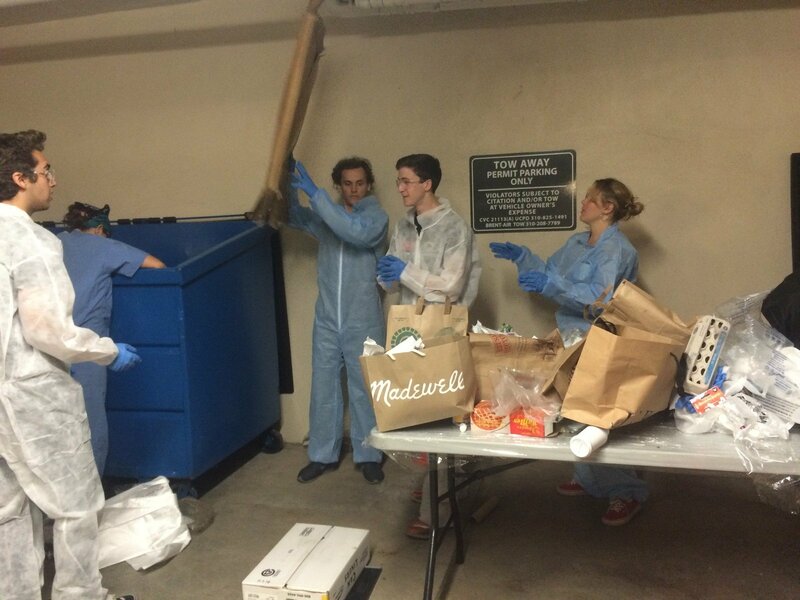 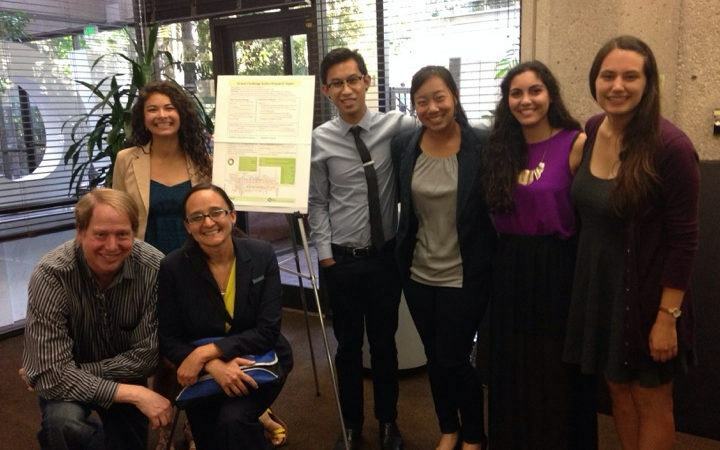 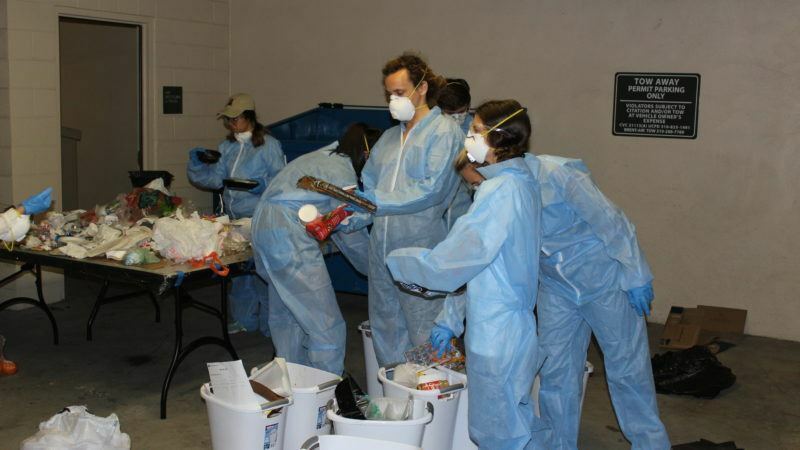 The 2014 Hospital Sustainability Team focused efforts on three main sustainability projects for the UCLA Health System: assessing the sustainability of the food system, assisting with the Earth Day Fair at Ronald Reagan Medical Center (RRMC), and improving educational initiatives through an online module for new hospital staff. 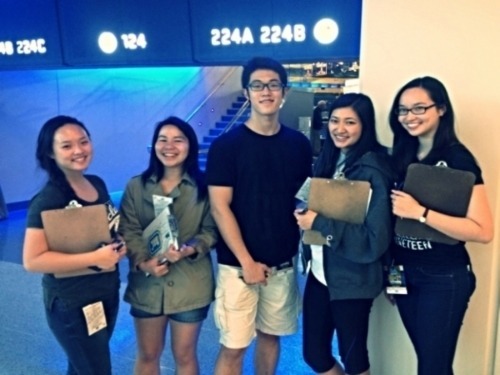 ART On ART is the first-ever auditing team, responsible for reviewing previous teams' results and gaining insights to improve future teams. 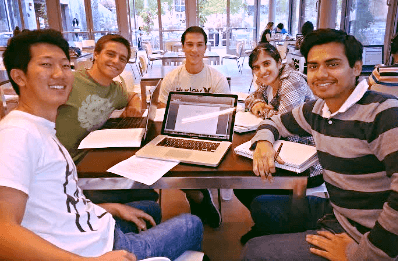 The team researched, analyzed, and identified past teams' research methodologies, metrics, and goals in order to evaluate their efficacy. 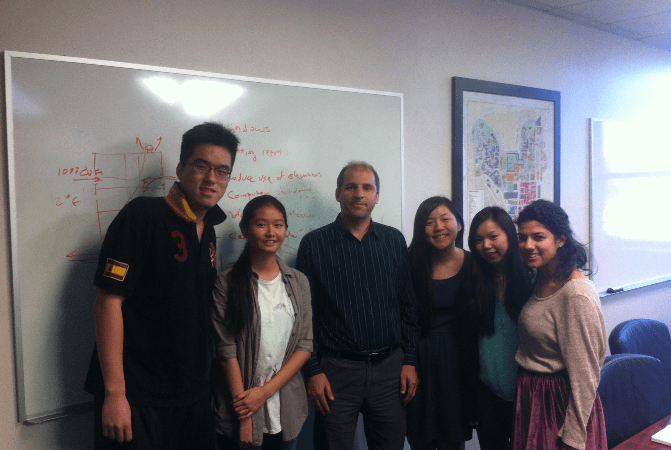 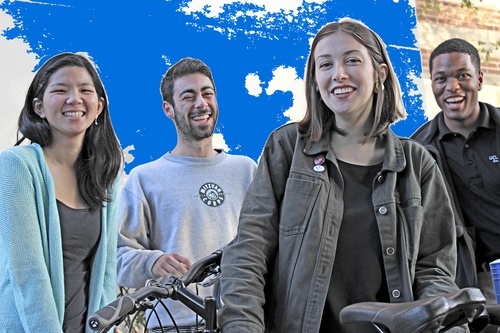 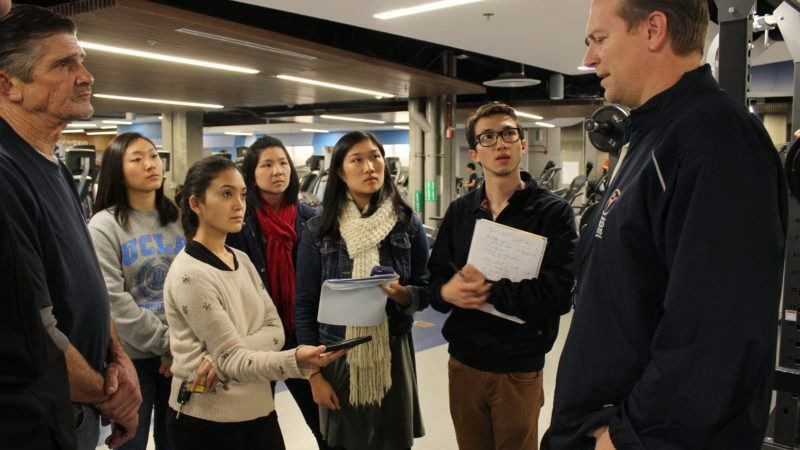 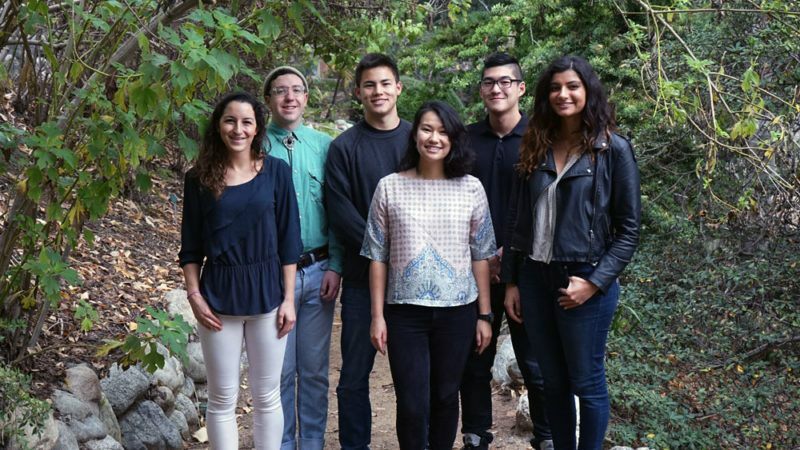 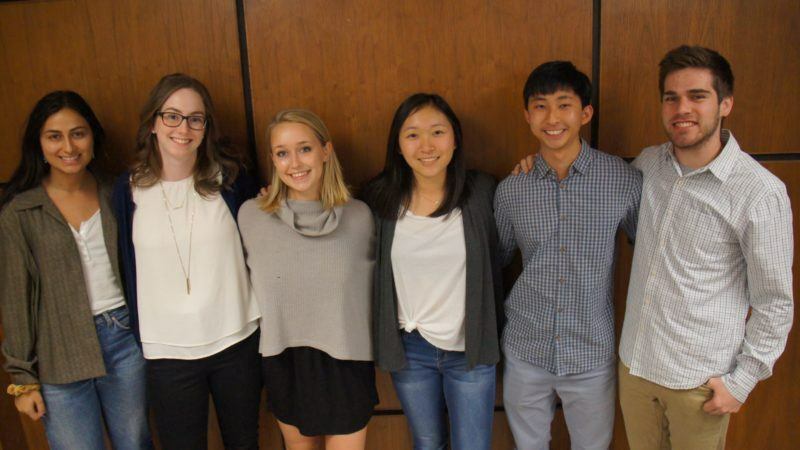 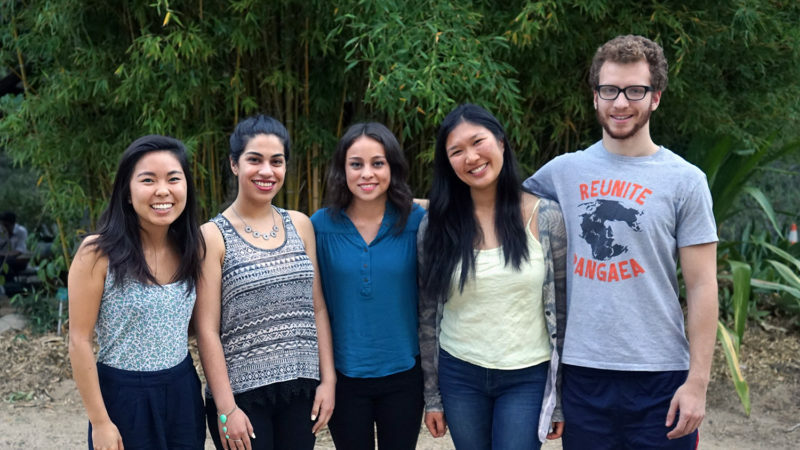 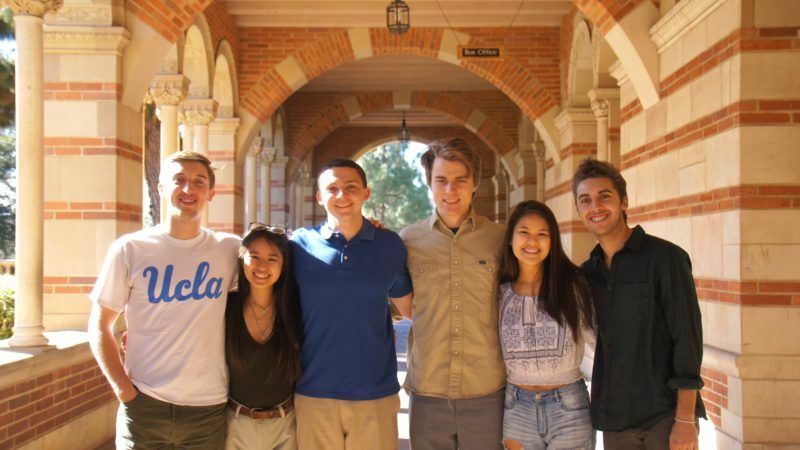 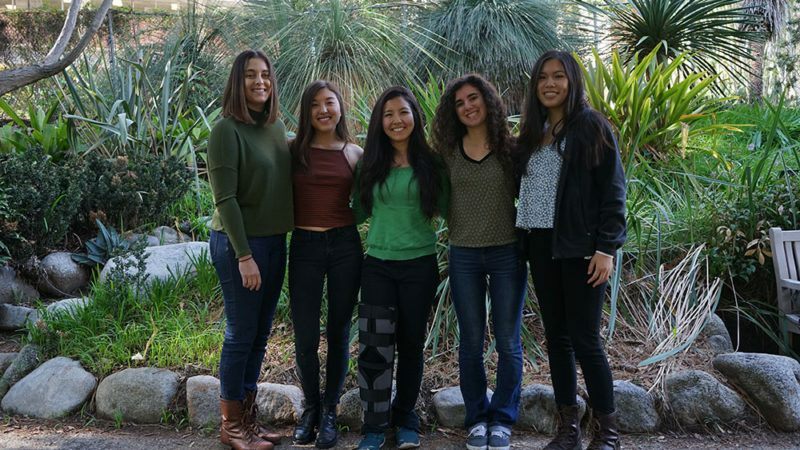 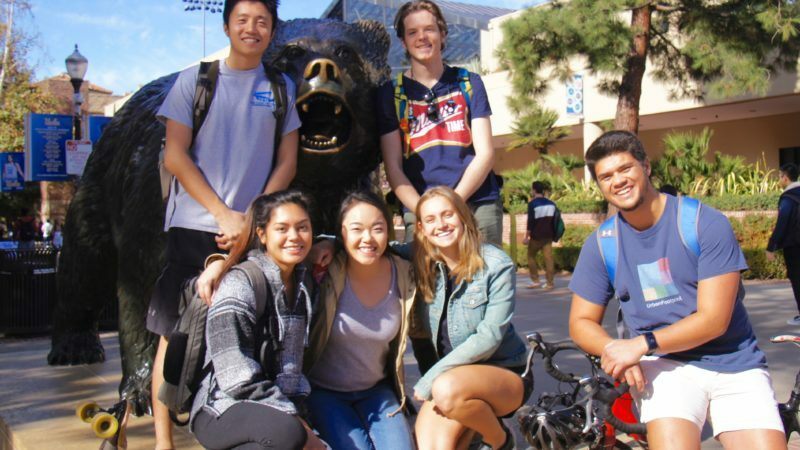 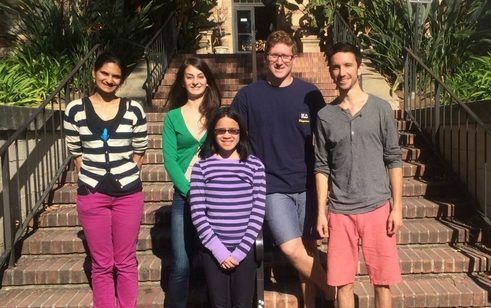 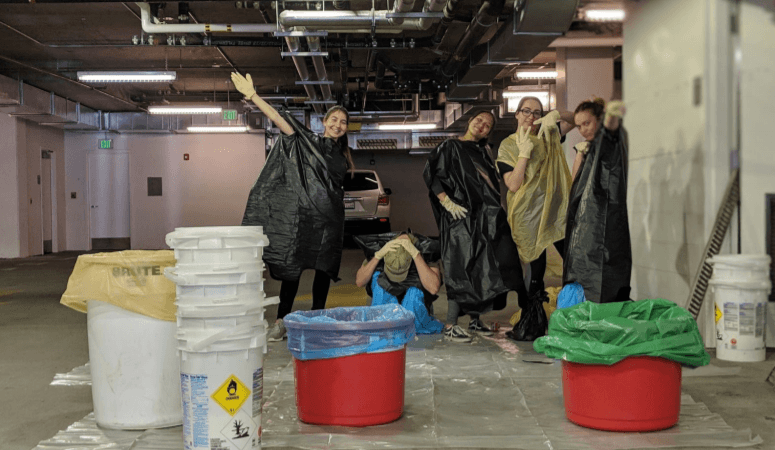 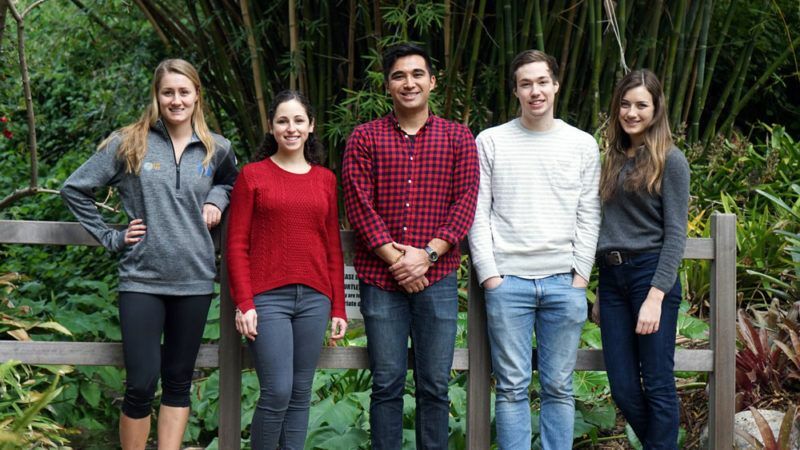 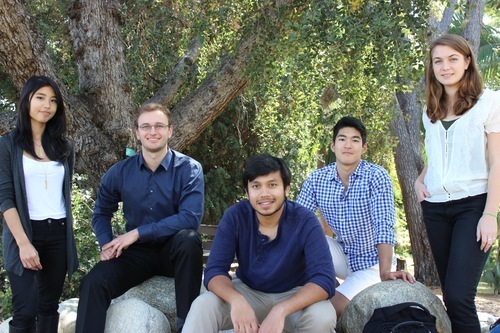 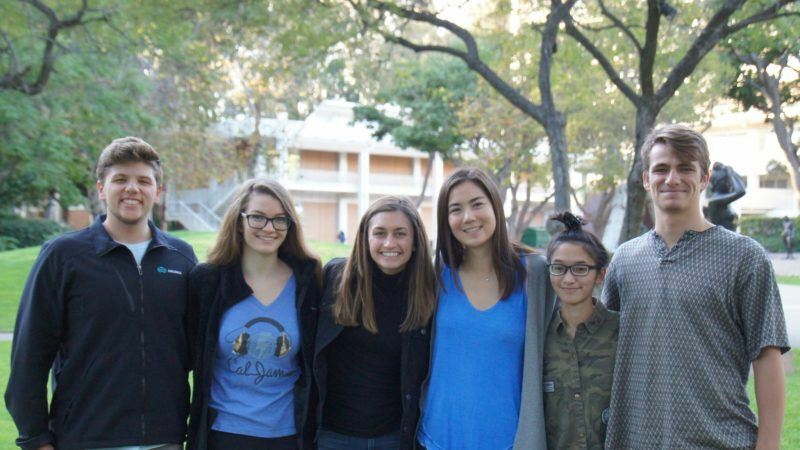 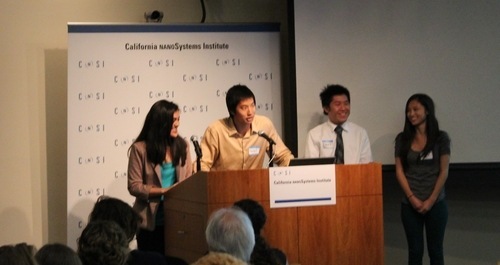 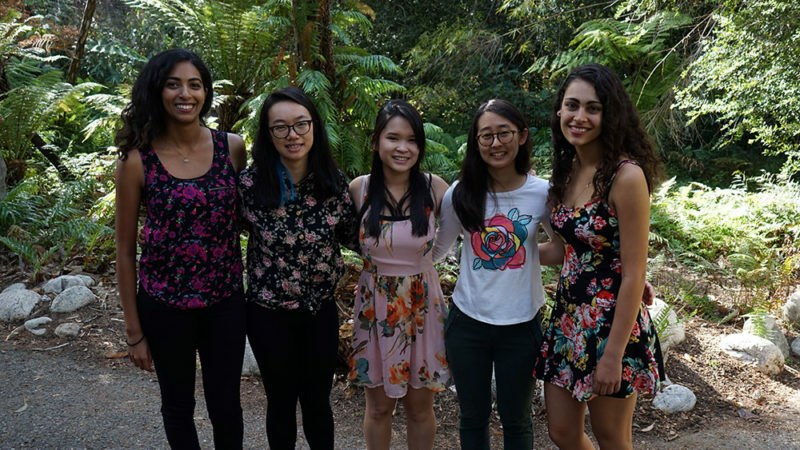 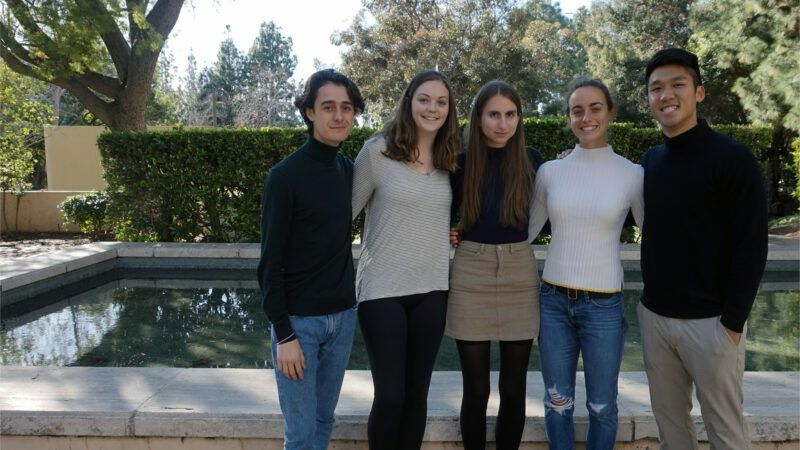 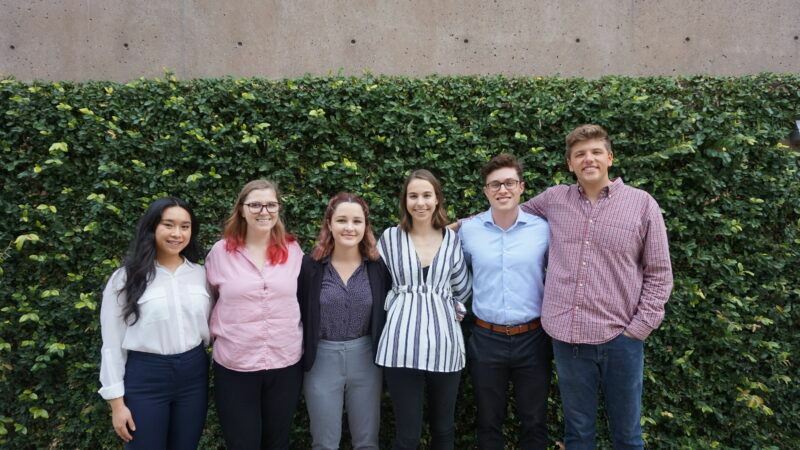 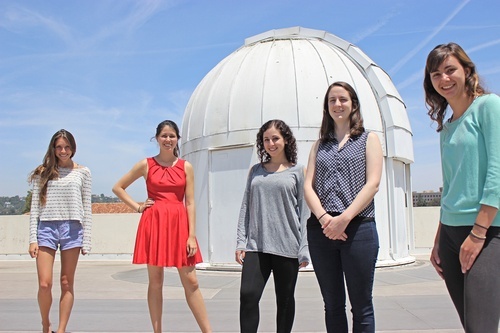 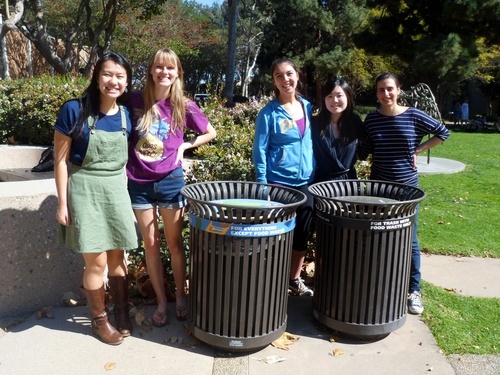 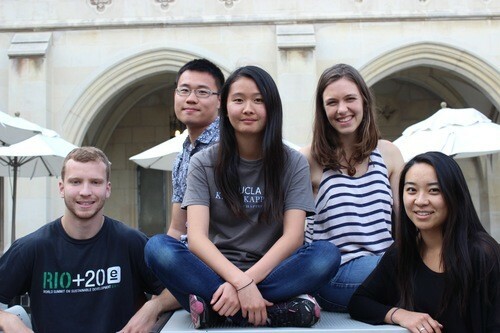 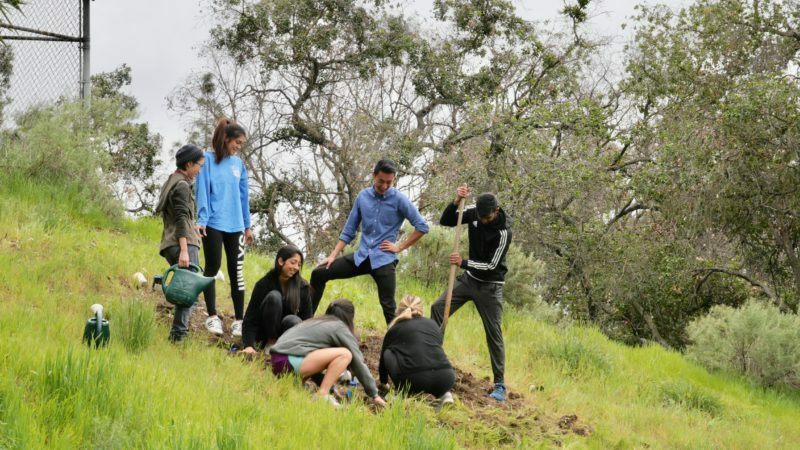 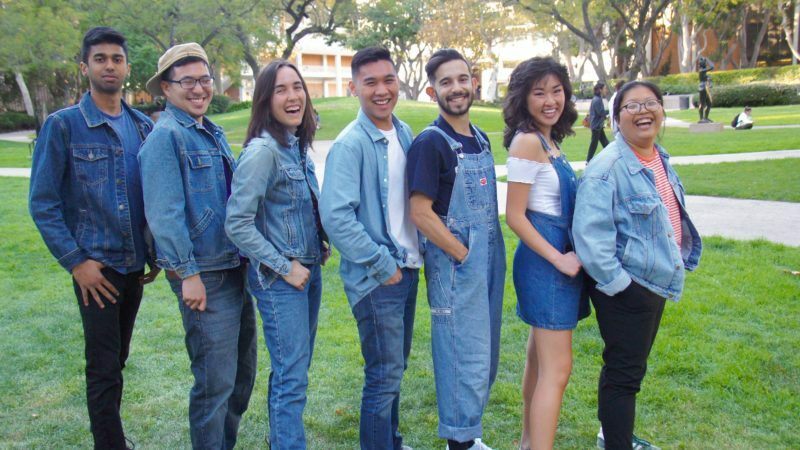 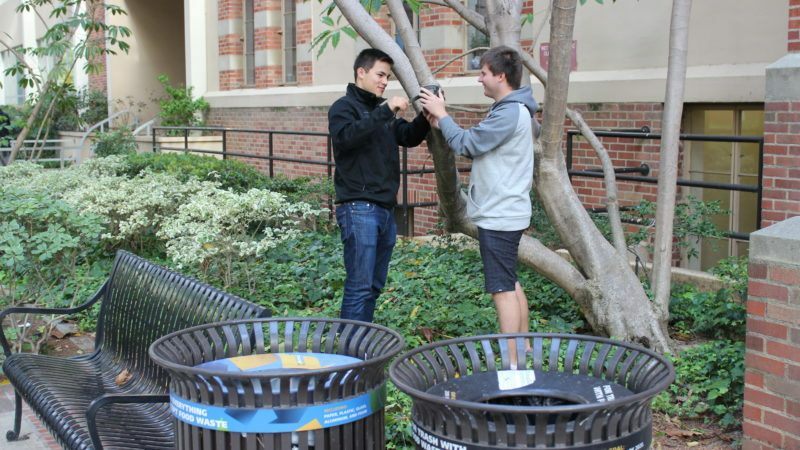 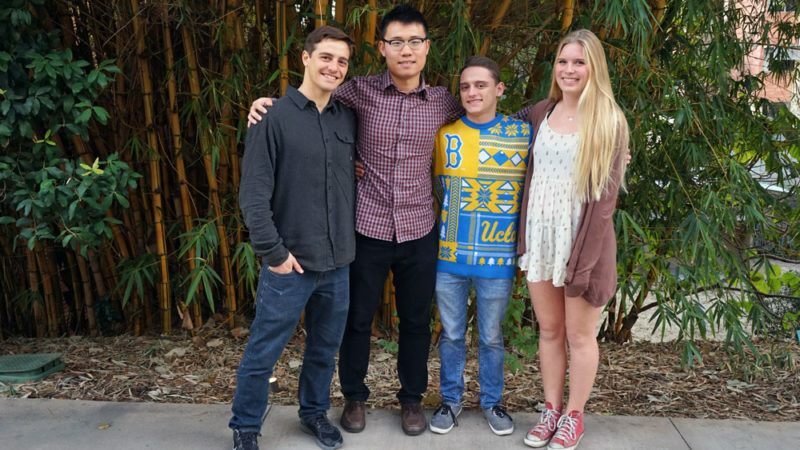 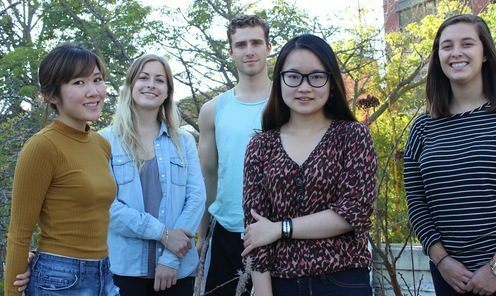 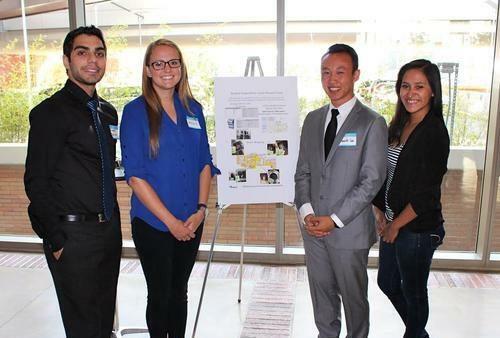 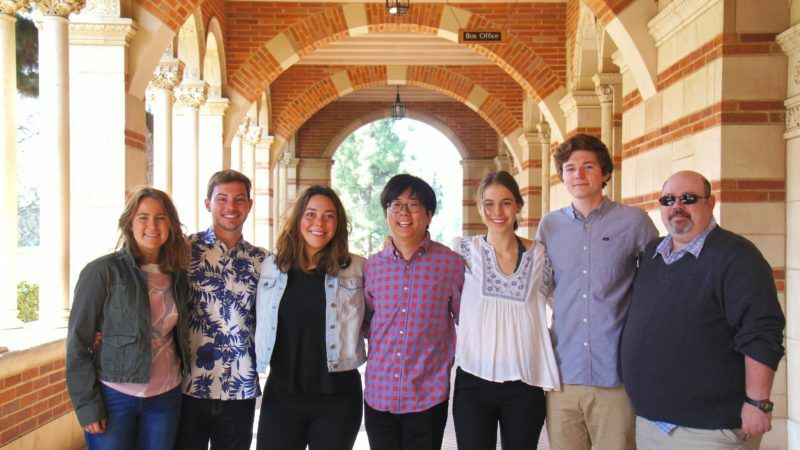 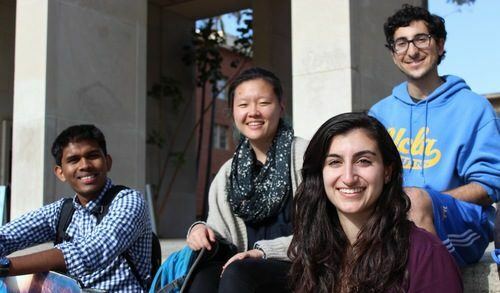 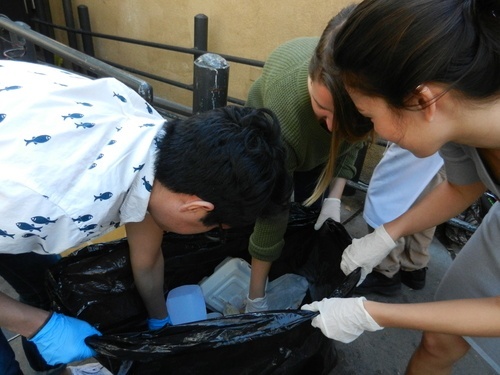 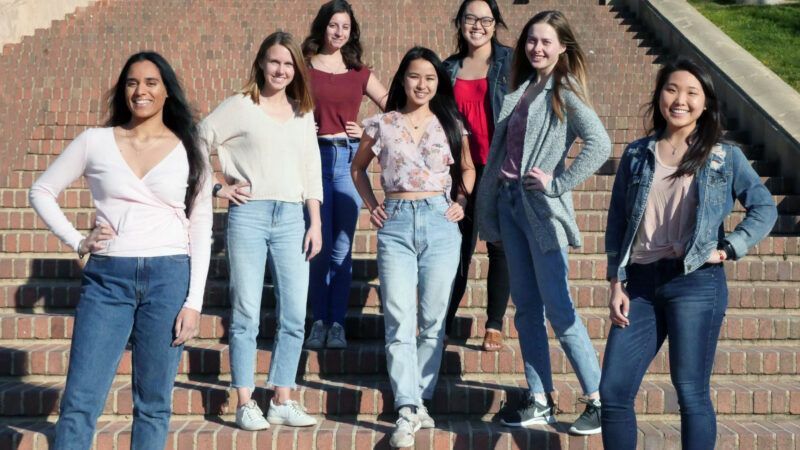 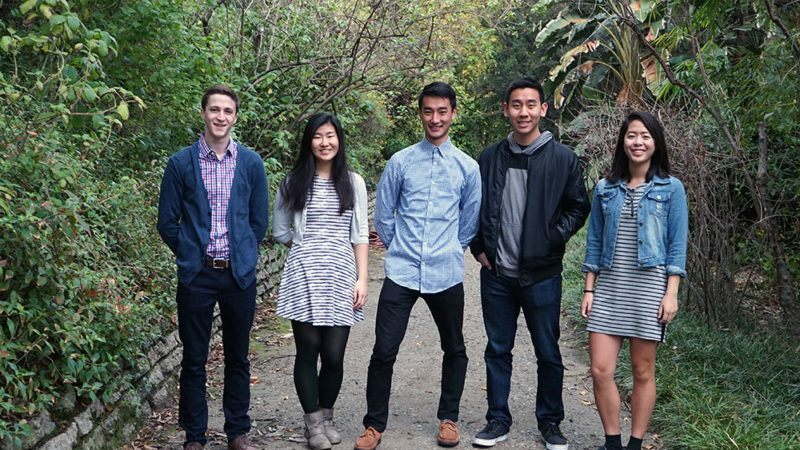 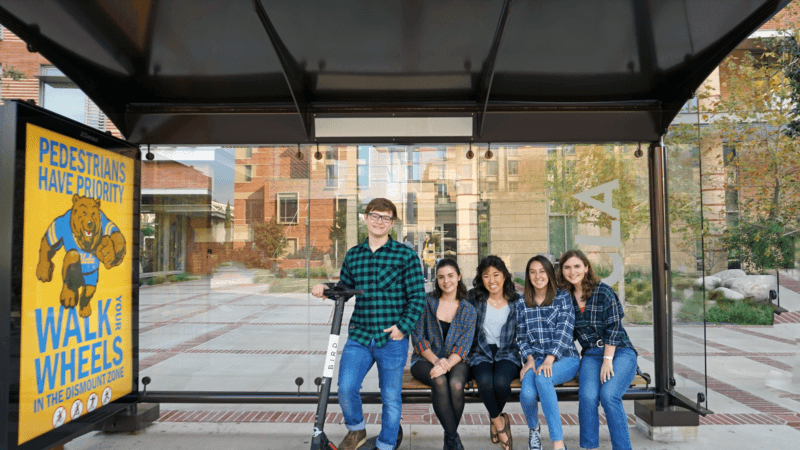 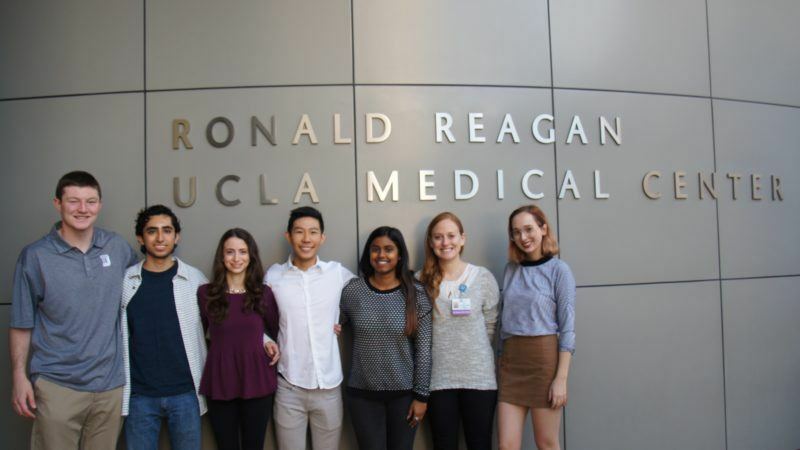 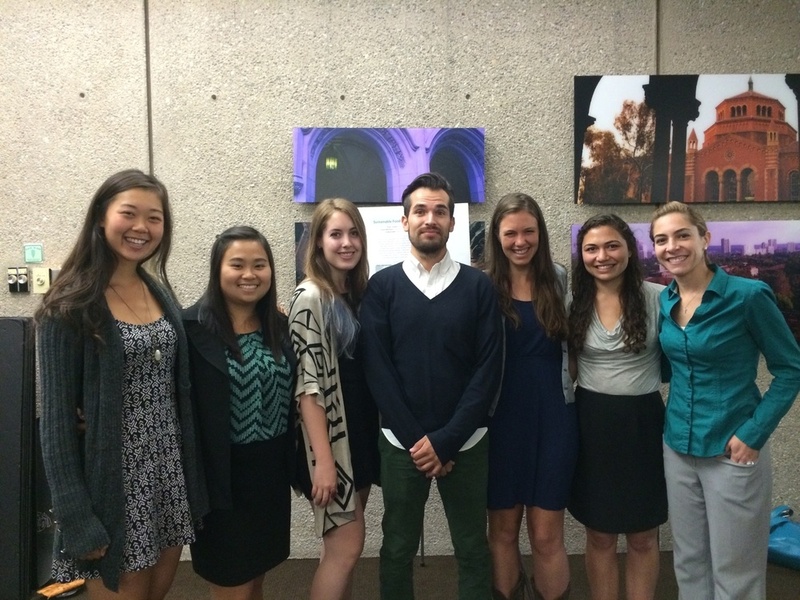 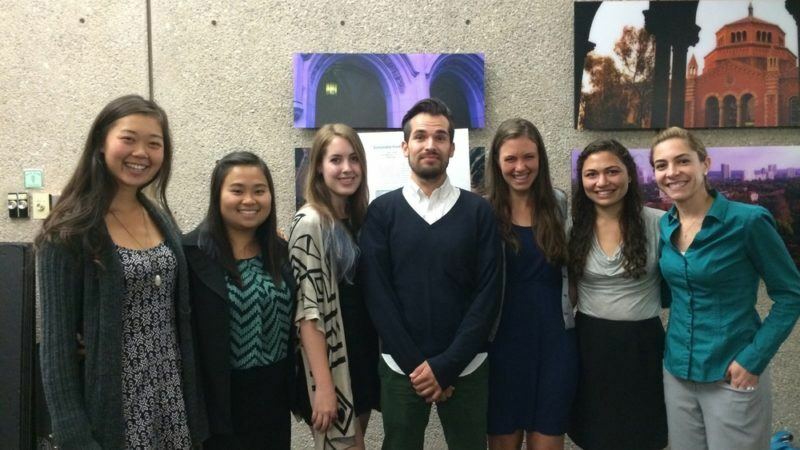 The 2014 Team Energy worked on raising awareness about energy usage, by creating a culture of stair-taking that will benefit the environment, public health, and UCLA's bank. 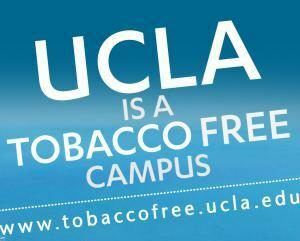 Burn calories, not electricity! 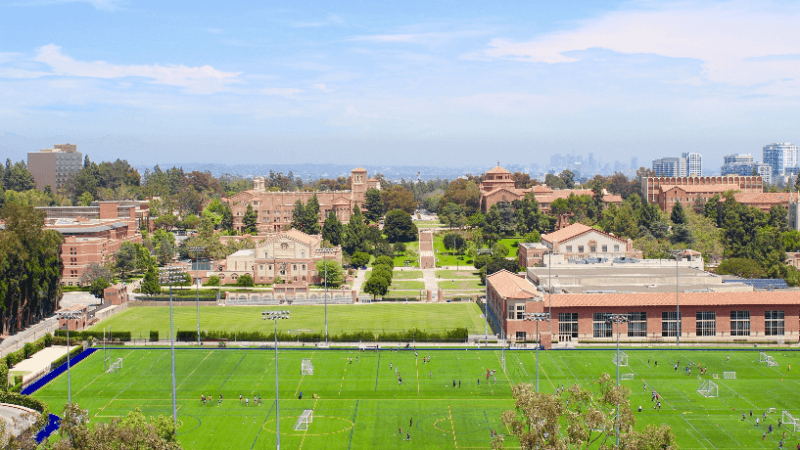 The Green Buildings Team worked on LEED (Leadership in Energy and Environmental Design) certification for all the on-campus residential buildings for UCLA Housing. 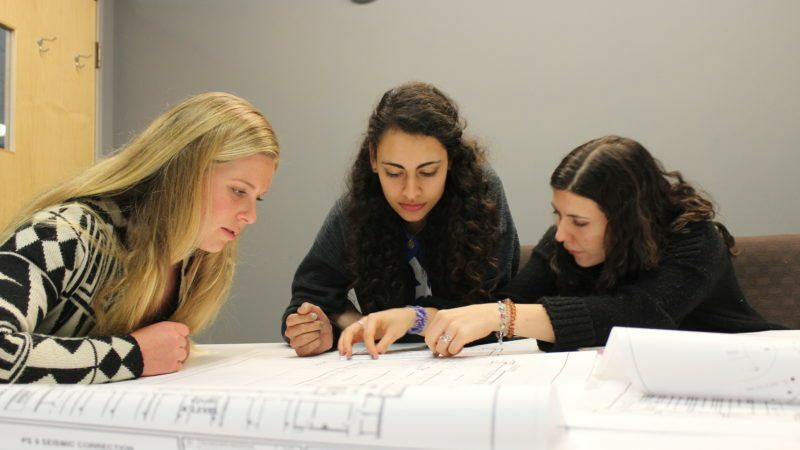 In order to do so, they collected LEED credits for energy, water, waste, indoor air, site purchasing and green cleaning.